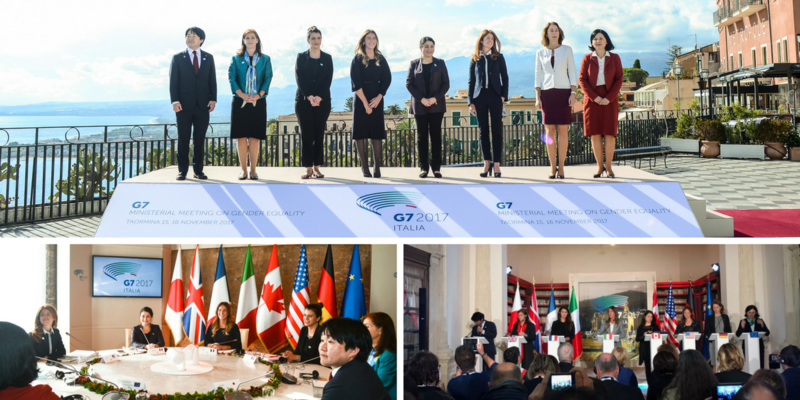 On November 15-16 Taormina hosted the G7 Meeting on Gender Equality, the last one of 13 ministerial meetings that took place during the year of the Italian G7 Presidency. The meeting, chaired by Undersecretary to the Presidency of the Council Maria Elena Boschi, was attended by the Heads of Delegation of Canada, Japan, United States, Germany, France and Great Britain as well as the European Commissioner for Justice, Consumers and Gender Equality. The discussion focused on women's economic empowerment as a driver of global growth and development, and a social welfare indicator. Based on the “Roadmap for a Gender-Responsive Economic Environment” adopted last May by the G7 leaders, the discussion addressed three main topics: 1) redesigning the labor market and the welfare system to unleash the women's potential in the economic sphere; 2) rethinking the legislative measures to increase female participation in leadership positions and in the decision-making processes; prevention and struggle against gender violence, including the phenomenon of trafficking.